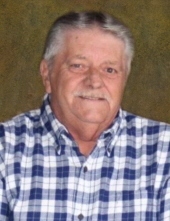 Gayle Thomas “Tommy” Persell, Jr., 71, of Milton Kentucky, passed away suddenly on Wednesday, March 13, 2019. He was born in Madison, Indiana on April 26, 1947, to the late Gayle and Katherine “Pidge” Boldery Persell. Tommy was proud to serve as Constable for 20 years in Milton District #1. He was a member of the Milton Masonic Lodge (now Milford Lodge), was working as a police officer. He enjoyed animals, especially his dog Phoebe. His daughter Whitney was truly the sunshine in his life. Tommy is survived by his wife of 32 years Myrna Lyn (Bayne) Persell; his daughter Whitney Gayle Ellegood and her husband Jimmy of Milton, Kentucky; his three siblings Janice “Mousey” Johnson and her husband Joe of Hanover, Indiana, Robin Combs and her husband Adrian of Madison, Indiana and Lisa Persell of Dayton, Ohio and several nieces and nephews. To send flowers or a remembrance gift to the family of Gayle Thomas "Tommy" Persell, please visit our Tribute Store. A Masonic service will be conducted by the Milford Lodge will conduct the service. Brother Jim Powell will officiate the service. The Family would like donations made to them. Envelopes will be available at the service. Ask one of the funeral service professionals at the church. "Email Address" would like to share the life celebration of Gayle Thomas "Tommy" Persell. Click on the "link" to go to share a favorite memory or leave a condolence message for the family.